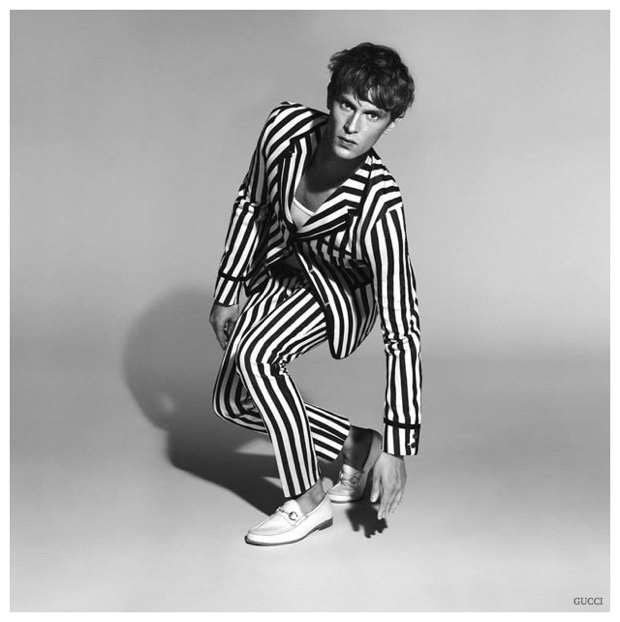 Esteemed high-fashion house Gucci has released its advertisement campaign for their 2015 Spring/Summer collection with a black-and-white and very cool quaternary of highly stylized pictures featuring model Mathias Lauridsen. Shot by photographer duo Mert & Marcus, the campaign highlights an assemblage of the Italian label’s seasonal formal wear. Look for the featured collection at a Gucci retailer near you in the coming weeks.